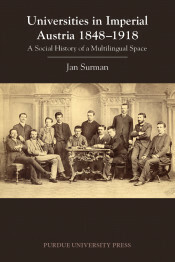 Combining history of science and a history of universities with the new imperial history, Universities in Imperial Austria 1848–1918: A Social History of a Multilingual Space by Jan Surman analyzes the practice of scholarly migration and its lasting influence on the intellectual output in the Austrian part of the Habsburg Empire. The Habsburg Empire and its successor states were home to developments that shaped Central Europe's scholarship well into the twentieth century. Universities became centers of both state- and nation-building, as well as of confessional resistance, placing scholars if not in conflict, then certainly at odds with the neutral international orientation of academe. By going beyond national narratives, Surman reveals the Empire as a state with institutions divided by language but united by legislation, practices, and other influences. 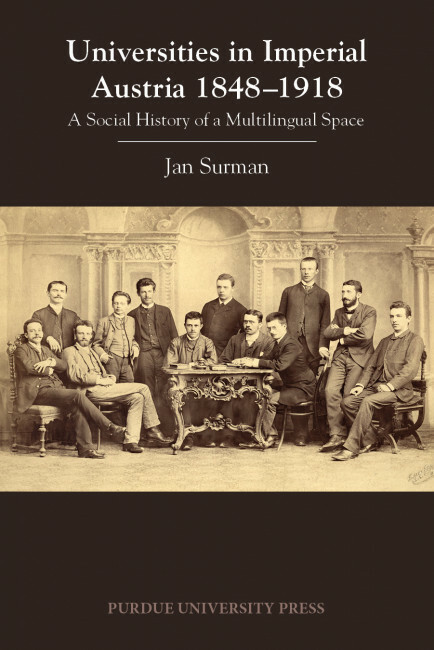 Such an approach allows readers a better view to how scholars turned gradually away from state-centric discourse to form distinct language communities after 1867; these influences affected scholarship, and by examining the scholarly record, Surman tracks the turn. Drawing on archives in Austria, the Czech Republic, Poland, and Ukraine, Surman analyzes the careers of several thousand scholars from the faculties of philosophy and medicine of a number of Habsburg universities, thus covering various moments in the history of the Empire for the widest view. Universities in Imperial Austria 1848–1918 focuses on the tension between the political and linguistic spaces scholars occupied and shows that this tension did not lead to a gradual dissolution of the monarchy’s academia, but rather to an ongoing development of new strategies to cope with the cultural and linguistic multitude. Jan Surman is a historian of science and scholarship, focusing on Central and Eastern Europe in the nineteenth and early twentieth centuries. Surman holds a PhD in history from the University of Vienna and has most recently been working at the Herder-Insitut, Marburg; IFK, Vienna; and the National Research University Higher School of Economics, Moscow. His research focuses on scientific transfer, academic mobility, and scientific internationalism, and he is currently preparing a book on the history of Ukrainian science in the interwar period.